Davy Crockett on the Presidency : "I will never come and go, and fetch and carry, at the whistle of the great man in the white house, no matter who he is"
This is from 1835. Spectacular. The endpaper of Wayland F. Dunaway's book The Scotch-Irish of Colonial Pennsylvania (1944) might to some today appear to be a cliché, but as recently as 2010 it has also been described as one of 'the best books' on the subject. 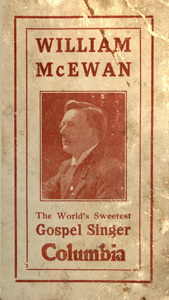 He was born in the town of Kilmarnock near the coast of Virginia in 1875. As well as an academic he was a Baptist pastor, and wrote an article defending what he called 'Scriptural Baptism or the Immersion of Believers'. Dunaway published A History of Pennsylvania in 1935 (online here). He was Professor of American History at Penn State University, where his papers reside still. • I presume that this book is by Dunaway's father, of the same name, a Confederate army veteran. 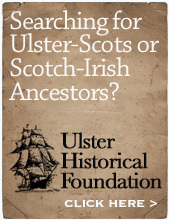 • An unpublished 2009 PhD thesis by Peter E. Gilmore, superbly entitled Rebels and Revivals: Ulster Immigrants, Western Pennsylvania Presbyterianism and the Formation of Scotch-Irish Identity, 1780–1830 is a source I come across fairly often and is online here. • Gilmore's paper From Rostrevor to Raphoe: An Overview of Ulster Place-Names in Pennsylvania, 1700-1820, also looks brilliant. • His article on the music of Western Pennsylvania is packed with information. “There’s rednecks north of the Mason-Dixon Line” – Aaron Lewis, ‘Northern Redneck’. The Mason-Dixon line was drawn in the 1760s to resolve a territorial dispute. It pretty much defined the southern border of the state of Pennsylvania, and the northern borders of Maryland and Virginia. It also bisected the Delmarva peninsula (where Delaware, Maryland and Virginia all meet) and so has become a shorthand for the division between North and South. Culturally, there are many many Scotch-Irish above that line, throughout history and still today. Samuel ‘reached Baltimore in the early part of 1800, in a concealed manner, being connected with the Order of Freemasons’. A few months later Alice and the three children arrived. The family ended up in ‘the Scotch-Irish settlement in the Cumberland valley in Pennsylvania, they proceeded to the head of Big Spring, where they were welcomed by numerous Presbyterian friends’. A Presbyterian Church had been founded in Cumberland County in 1738. Big Spring is about 80 miles north of historic Winchester, where fellow ‘rebel’ Presbyterian Adam Douglass sought refuge (see previous post), and just 15 miles west of Carlisle where John André had a less than positive view of the Scotch-Irish inhabitants (see previous post). Western Pennsylvania was pretty much as far away from the King as it was possible to be. “… noted for independence and ardent patriotism. She was possessed of a strong religious nature … the first germs of thought I gained from hearing her read, especially the Scriptures. She read poetry admirably, and no one I ever knew surpassed her in reading or reciting poetry and ballads, or in singing Scotch ballads, with which her memory was well stored." • a biography of Josias Copley is online here; he is pictured below. He was hanged as a spy a few months later. A memorial in Westminster Abbey commemorates his life - and where he is now buried, with his remains being brought back across the Atlantic in 1821. Again we have the term ‘Scotch-Irish’ in a primary source from the 1700s. It is about time that the myth of ‘Scotch-Irish’ being of later invention was ditched forever, and in fact ’scotched' when it arises in future. And we can now assert an historical cultural objection to the heathenish vanity that is the mince pie. Much of Ulster-Scots / Scotch-Irish thought has been on the pioneering spirit, the move southwards into the mountains, or the move west towards the open plains and eventually the western coast. California has one of the highest census figures for Scotch-Irish awareness. These places were settled in the later 1700s, the 1800s and afterwards. Very little published work has been done to see what stories survive in the original landing places of New England, which was settled from 1718 onwards. There is a vast well of material lying there, easy to access, and as yet untapped. In the mid 1800s, when the Great American Narrative was taking place in the South, the Mountains, the Plains or even multiple Civil War Battlefields - and reinforced ever since in books, songs and movies – back up in the north east even the littlest towns in the New England states were celebrating their centennials, having been founded 100 years beforehand. The obscure little publications which survive are scattered through with great references to Ulster and the Scotch-Irish. There are so many places to visit there, historic buildings and landscapes of relevance to us. “The earlier writers on American history were apt to ignore or pass over in silence the contributions to American civilisation that have been made by other people than the English. Perhaps this may have been because our earliest historians were men of New England whose attention was unduly occupied with their own neighbourhood … the non-English elements in our composite civilisation were not so much denied as disregarded … Your Ulsterman is clear that the migrations of Englishmen to Virginia and New England were small affairs compared with the migration from Ulster to Pennsylvania …"
“Accordingly, in spite of a very rigid theology, they [Ulster Presbyterians] stood for a liberal principle, and other Protestant sects such as Lutherans, Mennonites and Dunkers, found it possible to harmonise with them, especially in the free atmosphere of Pennsylvania. The result was the partial union of two great streams of immigration, the Ulster stream and the Palatinate stream”. The Ulster role in the USA can be seen in more places than is normally assumed. There is a big job to be done in New England, in today's states of Maine, New Hampshire, Vermont, Massachusetts, Rhode Island and Connecticut. We were there too. We are still there today. The 20th Regiment of the New York State Militia (Ulster Guard) volunteered for service at the start of the American Civil War, and was soon re-named the 80th New York Volunteer Infantry. 375 of its men fought at Gettysburg, where the monuments shown here stand today. 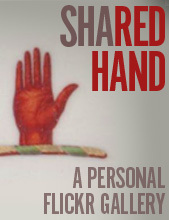 Around the Hand is the motto "This hand for our country". So the men of Ulster County must have had some understanding of the emblem of the place on the other side of the Atlantic from which their home county took its name. The regiment was founded by Zadock Pratt, who became a Colonel. His house is a museum today, in the town of Prattsville. Unfortunate name! His ancestors were English, arriving in the USA in the 1630s near Connecticut. He was born in 1790 and served two terms as a US Congressman, and built what was then the world's largest tannery with apparently 30,000 employees. His son George W Pratt also served in the regiment. Grandson George Pratt Ingersoll was a diplomat and became US Ambassador to Siam in 1917. At their annual reunion in 1912, which was also the 50th anniversary of the Battle of Antietam, veterans of the regiment gathered at the Kingston Hotel, the walls of which were bedecked with American flags, a large painting of the Battle of Gettysburg, a photo of the association's previous meeting, and according to the Kingston Daily Freeman newspaper, 'Under these was a shield bearing a hand and the motto, "this hand for our country"'. • A huge 1879 volume about the Ulster Guard is on Archive.org here. "Perhaps a nobler race of men never lived, than the Scotch Irish.It is true they did not possess so much that is courteous and refined in maimer, as may be desirable, and in those qualities they might be behind their English neighbors ; but in stern integrity, in uprightness of purpose, in a conscientious regard to truth, they were surpassed by no men who ever lived. They were the worthy descendants of those who withstood the long and bloody seige of Londonderry, in their adopted Ireland ; worthy themselves to lay the foundation of civil and religious liberty in their chosen country — worthy to be the fathers of those, who afterwards fought at Bunker Hill and Bennington." It has been said that the New England pulpit was where the American Revolution really began, through the Great Awakening of the time. Englishmen Jonathan Edwards and George Whitefield are still famous today, with their sermons and social impact still being studied and cited by historians, theologians and preacher-evangelists - but the Ulster-Scots were thick on the ground and some were also in the pulpits. One of their ministers appears to have been from Newtownards. "About one hundred years ago, Jonny Moorhead, upon a drowsy summer afternoon, gave out the one hundred and eighty-seventh psalm. The chief minstrel, with infinite embarrassment, suggested, that there were not so many in the Book – and tradition tells us, that Jonny replied – "Weel, then, sing as mony as there be." His papers are in Harvard Divinity School. Other sources specify Moorhead was born in 1703, educated at Edinburgh, and that his congregation was known as the ‘Church of the Presbyterian Strangers’, a name they adopted and even had carved into the pillars of their eventual meeting house. He arrived in Boston in 1727, was ordained as the minister in 1730 and for about 14 years they met in the barn of a John Little, before building their own meeting house in 1744. He died in December 1773. His portrait below was painted by Boston artist John Greenwood, and was sold at auction earlier this year by Sotheby’s New York. Engraving and line drawing versions, by Peter Pelham and John Huybers, were produced later. Here’s a brilliant story, touched on in one of Oren F Morton’s books. There is a stained glass window to Louis Bennett's memory in Westminster Abbey, a library in his memory in his home town of Weston. He is the only West Virginian commemorated by the Commonwealth War Graves Commission. The family traced their origins to a Joseph Bennett who had arrived in Augusta County, Virginia before the Revolutionary War. He moved to West Virginia and many generations of the family were influential there. His son William married a Rebecca McCauley; their son Jonathan became a candidate for the US Senate and a brigadier-general during the Civil War under General Stonewall Jackson. Jonathan’s son William George also served in the Civil War, and in turn his son Louis Sr. joined the Confederate States Navy in 1865 aged only 16, just as the war was ending. It was Louis jr. who joined the RAF. • A History of Lewis County (1920) provides further details about the family. The early 20th century writings of Oren Frederic Morton (1857-1926) – "the ark of the covenant of American ideals rests on the Southern Appalachians". O ne of the most impressive validations of Scotch-Irish / Ulster-Scots heritage is when someone who is not - as you might say - ‘of the community’ recognises the importance of the story and sees value in the contribution these folk have made, and as a result writes about them with no ‘baggage’ or ulterior motive. One such writer was Oren Frederic Morton. You can tell by his name that he’s not obviously of Ulster-Scots ancestry. His lineage, on both sides of his family, seems to have been English, among the first arrivals in Massachusetts in the 1630s. Oren Frederic Morton was born in Fryeburg, Maine to Harrison G. Morton (1810–91) and Helena Theodate Gibson (1819–97) - they were both from Winthrop, Maine and married in 1841. Helena was descended from a John Gibson who arrived in Massachusetts in 1634; Harrison’s origins were with an Eleazar Morton was born in 1659. Harrison was called into service in the Civil War in 1863, fighting for one of the Maine Union Army regiments. After the War ended, when Oren Frederic was around 10 years old, the family moved westward to the wide flat grain-growing plains of Iowa and later onwards to Nebraska. He graduated from the University of Nebraska in 1879 and then came back east, becoming a teacher. He also set up a woodworking business but “a severe hurt compelled him to quit”. From 1894 he lived in various towns in the Allegheny mountains of West Virginia where he became a prolific writer and meticulous community historian. He married Helen Louise Moody of Indiana in 1915, and died in Winchester, Virginia on 17 May 1926 where he was buried at Mount Hebron cemetery. Some of his archives are in the Winchester-Frederick County Historical Society collection at Handley Library, Winchester. The local histories follow a similar format to one another, and because of the close proximity of these counties to one another, the same content appears in a number of the books. But there is loads of great content. In the first of the histories, Pendleton County (1910) he gives details of a William Adamson who was born 1799 in Gilford in County Down who had farmed in Pendleton, with his wife, 9 children, his brother James and family. A John Boggs who was born in 1774 in Ireland and came to WV with a huge entended family. A Calhoun family who came from the north of Ireland in the 1730s; three Cunningham brothers who sailed from Dublin sometime before 1753; a Preston Wilson from Ireland; an Aaron Kee who was a friends of the Boggs family who became a merchant; a William Smith from Ireland; a Thomas Higgins from Ireland - and a short history entitled The Men Who Settled the Thirteen Colonies which has many references to Ireland and ‘lowland Scotch’. And the quote in the post title here - "the ark of the covenant of American ideals rests on the Southern Appalachians” - is on page 443. In A History of Rockbridge County (1920) there is an entire chapter entitled ‘The Ulsterman and the Pathfinders’ (click here). ‘Ulster’ appears 68 times in the text, with ‘Scotch’ and ‘Scotch-Irish' peppered throughout. His works are a cultural, historical and genealogical gold mine. And all from a man who was not himself of Ulster-Scots descent. If you stop to think transatlantically for a moment - these books were pouring out of, and in to, Appalachia in the first 25 years of the 20th century - at the time of the Ulster Covenant, of the Battle of the Somme, of a time when young Appalachians like Alvin York were displaying remarkable heroism at the front alongside Ulstermen (and whose statue stands at the Nashville Capitol, beside Ulster Presidents Jackson and Johnson) a time when Partition would soon draw a line in Ireland and create two states, a time when Woodrow Wilson, a grandson of Ulster folk, was the President of the USA, a time when Ralph Peer would arrive in Bristol - where Virginia and Tennessee meet - to record folk of Scotch-Irish ancestry playing the first country music. What a time to be alive. Yet, retrospectively, so much transatlantic cultural connection should have been made by the first Government of Northern Ireland, but wasn’t. Would our past 100 years have been different? I hope that this generation doesn’t miss the transatlantic cultural opportunities which are on the horizon. "The people of Augusta are impressed with just sentiments of loyalty to his majesty, King George, whose title to the crown of Great Britain rests on no other foundation than the liberty of all his subjects. We have respect for the parent state, which respect is founded on religion, on law, and on the genuine principles of the British constitution. On these principles do we earnestly desire to see harmony and good understanding restored between Great Britain and America. Many of us and our forefathers left our native land and explored this once savage wilderness to enjoy the free exercise of the rights of conscience and of human nature. These rights we are fully resolved with our lives and fortunes inviolably to preserve; nor will we surrender such inestimable blessings, the purchase of toil and danger, to any ministry, to any parliament, or any body of men by whom we are not represented, and in whom we are not represented, and in whose decisions, therefore, we have no voice. We are determined to maintain unimpaired that liberty which is the gift of Heaven to the subjects of Britain's empire, and will most cordially join our countrymen in such measures as may be necessary to secure and perpetuate the ancient, just, and legal rights of this colony and all British subjects." The meeting which produced that statement is described in detail here, with a fuller version of the statement too. The key men were Donegal-born Thomas Lewis and Captain Samuel McDowell. Others in the gathering whose names were recorded were Edinburgh-born Rev Alexander Balmaine, Sampson Mathews, Captain Alexander McClanahan, Michael Bowyer, William Lewis and Captain George Mathews. William Alexander MacCorkle was the son of a Confederate Major, and the ninth Governor of the state of West Virginia, a state which had been created in 1863 and where it has been said "the Scotch-Irish were unmatched. No other ethnic group would be as significant in shaping the culture of West Virginia.” (from this previous post). The MacCorkles came from Ulster, and traced their Scottish origins to the Highlands. Initially a William MacCorkle settled at Rockbridge County in Virginia in the 1730s. The famous Revolutionary hero Patrick Henry appointed a John MacCorkle as Ensign in the Rockbridge Militia in the 1770s. Various generations of the family were elders in Presbyterian congregations; an Emmett W McCorkle attended the Pan-Presbyterian Council, visited Britain a few times, and wrote a volume entitled The Scotch-Irish in Virginia. By the time the Civil War of 1861–65 came around, there were 200 MacCorkles in the Confederate ranks, and they were one of the biggest families in Rockbridge. The State is rapidly passing under the control of large foreign and non-resident land owners. We welcome into our State the immigrant who comes to us with the idea of home seeking and home building with all its profits to the State, with its family ties, with its clearing of the forests, its building of church and school house, its expenditure of all that is made in our State, and its exercise of citizenship. But the men who today are purchasing the immense areas of the most valuable lands in the State, are not citizens and have only purchased in order that they may carry to their distant homes in the North, the usufruct of the lands of West Virginia, thus depleting the State of its wealth to build grandeur and splendor in other States. In a few years at the present rate of progress, we will occupy the same position of vassalage to the North and East that Ireland does to England, and to some extent, for the same reasons. One more persistent, more earnest, and who exerted a greater influence upon Southern life in the actual struggle for liberty than the Cavalier, was the Scotch Covenanter, the Scotch-Irishman of this day and place … the populations of the colonies of the South were largely homogenous, and after the great Scotch-Irish immigration and the German immigration there was practically no immigration into the South. Men from the South who fought in the War of 1812 and the Mexican War and the War of 1860 were the sons and grandsons of the men who carried arms in the Revolution of 1776. There are lots of other usages of the term Scotch-Irish in that same address. These American writers of the past had little or no cultural advantage in citing Scotch-Irishness. They referenced it because it was true. It looks like a son of Ulster emigrant parents was the mastermind of a pre-Revolution movement called the ’True Born Sons of Liberty’, founded in the 1760s. In 1774 they unfurled a huge version of this flag on a 112 foot flagpole in the town of Taunton, Massachusetts, which is still celebrated there every year with re-enactments and a weekend festival. Earlier that year they issued a document from New York under the noms-de-plumes John Calvin and John Knox! There is a massive Scotch-Irish story in between the bookends of the 1718 arrivals and the Revolution of 1776. A regular reader is going to love the reference to 'meet under the Liberty Tree' in the document below :). More to follow when I’ve done all the reading. • Meanwhile why not buy a t-shirt? • Here’s PD Harrison’s account of the story : “no thought of severance from the mother country, their only thought being liberty of action’. Sometimes I think that there is a lot of exaggeration around the story and scale of influence of the Ulster-Scots in America. However maybe many of the claims are justified, and it's our modern-day cynicism, and what CS Lewis called chronological snobbery which makes us question. "... But the position of the Scotch-Irish in the New World was peculiar. They alone, of the various races in America were present in sufficient numbers in all of the colonies to make their influence count; and they alone of all the races had one uniform religion; had experienced together the persecutions by State and Church which had deprived them at home of their civil and religious liberties; and were the common heirs to those principles of freedom and democracy which had been developed in Scotland as nowhere else. At the time of the American Revolution, there were nearly seventy communities of the Scotch and Scotch-Irish in New England, including Maine, New Hampshire, Vermont, Massachusetts, and Connecticut ; from thirty to forty in New York; fifty to sixty in New Jersey; over one hundred and thirty in Pennsylvania and Delaware; more than a hundred in Virginia, Maryland, and Eastern Tennessee; upwards of fifty in North Carolina ; and about seventy in South Carolina and Georgia : in all, above five hundred settlements (exclusive of the English Presbyterian congregations in New York and New Jersey), scattered over practically all the American colonies..."
Again here is an early reference to the term ‘Scotch-Irish”, this time in An Address, Delivered at the Centennial Celebration in Peterborough, New Hampshire by John Hopkins Morison (1808–1896) which was published in Boston in 1839 - and is available here on Archive.org. it was one of Rev. W.F. Marshall’s sources for his famous 1943 booklet Ulster Sails West. ‘forty five or fifty familes from Lunenburg, Londonderry, and some immediately from Ireland. They all, however belonged to the same stock. They came to this country from the north of Ireland, and were usually called Scotch-Irish’. The book is full of great stirring descriptions so typical of the heroic (and to modern readers, partisan) early Scotch-Irish volumes. The author could himself remember one of the early settlers, a Mrs Sarah M’Nee ‘who died within my memory, aged 97, or as some supposed, one hundred years old’. This is important. The author knew the oldest surviving original settlers. They, and their community and descendants, are who he is referring to when he says they 'were usually called Scotch-Irish’. Morison was not imagining an ancestry. He knew these folk to talk to. The Centennial was a local event to a local audience. Anyone who gives talks to historical societies knows full well that you make sure you get your facts right, because somebody present will know more than you do and will very soon correct you if you are wrong, or if you are making things up to suit yourself. It is the most pointed form of ‘peer review’, carrying the risk of instant public humiliation within your own home area. The 31 year old Morison would have made sure to get his facts right. William Smith sounds like an outspoken sort, see page 11, where he uses similar language to the famous Rev James McGregor quote. Smith went on to become a delegate to the Provincial Congress of 1774. There is a lovely description of the interior of their homes on page 17 - dresser, fireplace, tales of olden days, ‘the pre-eminence of Ireland’, a family Bible from which a chapter would be read and then prayers offered. On page 28 is a glimpse of their speech - “we maun aye be carefu’ how we handle them. Keep yoursel’ to yoursel’”, and on page 46 “Aweel, aweel dear Joan, an it maun be a log-house, do make it a log heegher nor the lave”. Remarkably, one of the signers of the Declaration of Independence, Thomas Steele, then aged 86, was present at the Centennial Celebration and read it aloud to the audience. And John H Steele, presumably a relative, gave a few addresses, in one of which he described the early settlers and, on page 92, referred to one of their songs entitled ‘The Battle of the Boyne’. Their ‘Association Test’ of 1776 - a kind of Solemn League and Covenant for their context - was enthusiastically embraced and signed. Across the whole state of New Hampshire 8,199 men over 21 signed, whilst just 773 refused to and so remained loyal to the King. The names of the Peterborough signatories is pretty much an Ulster phone book. “It was the sternness of the Scotch covenanter softened by a century’s residence abroad amid persecution and trial, wedded there to the comic humour and pathos of the Irish, and then grown wild in the woods among these our New England mountains”. • It seems that the author, John Hopkins Morison, was a Unitarian minister. • The Historic New England website has photographs of the inside of Morison's home, called Bleakhouse. • A statue of Morison stands in Peterborough Library - he was one of the founders in 1833. It is said to be the ‘oldest tax supported free public library in the world’. “A like ma fiddle an’ jolly songs on a week day; but on the Sabawth A’ want no jigs an’ lilts in the house o’ God. Gie’ me then the old twelve sacred tunes o Dahvid, as well as the old Psalms! They were good enough for the fathers, an’ they’re good enough for me. The martyrs sang them in their kirks, an’ made the wild heathered moors echo with ‘em when they were driven to the hills in the killin’ times…"